What is the cheapest way to get from Nashville to Biloxi? The cheapest way to get from Nashville to Biloxi is to drive which costs $50 - $75 and takes 8h 19m. What is the fastest way to get from Nashville to Biloxi? The quickest way to get from Nashville to Biloxi is to fly which costs $210 - $1,000 and takes 5h 21m. Is there a direct bus between Nashville and Biloxi? No, there is no direct bus from Nashville to Biloxi. However, there are services departing from Nashville, Tn and arriving at Biloxi, Ms via Montgomery, Al. The journey, including transfers, takes approximately 12h 50m. How far is it from Nashville to Biloxi? The distance between Nashville and Biloxi is 419 miles. The road distance is 510.1 miles. How do I travel from Nashville to Biloxi without a car? The best way to get from Nashville to Biloxi without a car is to bus which takes 12h 50m and costs $60 - $90. How long does it take to get from Nashville to Biloxi? It takes approximately 5h 21m to get from Nashville to Biloxi, including transfers. Where do I catch the Nashville to Biloxi bus from? 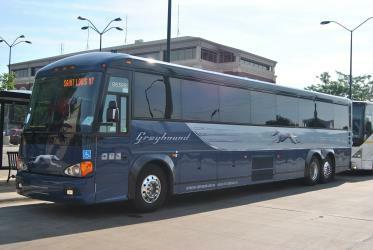 Nashville to Biloxi bus services, operated by Greyhound USA, depart from Nashville, Tn station. Bus or fly from Nashville to Biloxi? The best way to get from Nashville to Biloxi is to fly which takes 5h 21m and costs $210 - $1,000. Alternatively, you can bus, which costs $60 - $90 and takes 12h 50m. How long is the flight from Nashville to Biloxi? There is no direct flight from Nashville Airport to Gulfport/Biloxi Airport. The quickest flight takes 3h 29m and has one stopover. Where does the Nashville to Biloxi bus arrive? 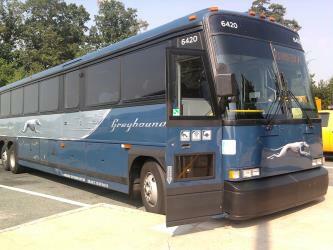 Nashville to Biloxi bus services, operated by Greyhound USA, arrive at Biloxi, Ms station. What companies run services between Nashville, TN, USA and Biloxi, MS, USA? Delta, United Airlines and two other airlines fly from Nashville to Biloxi hourly. Alternatively, you can take a bus from Nashville to Biloxi via Montgomery, Al in around 12h 50m. Can I drive from Nashville to Biloxi? Yes, the driving distance between Nashville to Biloxi is 510 miles. It takes approximately 8h 19m to drive from Nashville to Biloxi. Which airlines fly from Nashville Airport to Gulfport/Biloxi Airport? United Airlines, American Airlines and Delta offer flights from Nashville Airport to Gulfport/Biloxi Airport. How do I get a bus ticket from Nashville to Biloxi? 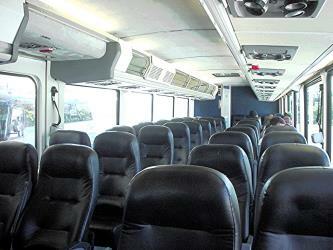 Book your Nashville to Biloxi bus tickets online with Greyhound and Greyhound. Where can I stay near Biloxi? There are 266+ hotels available in Biloxi. Prices start at $80 USD per night. Biloxi Lighthouse is a lighthouse in [http://biloxi.ms.us Biloxi], Mississippi, adjacent to the Mississippi Sound of the Gulf of Mexico. The lighthouse has been kept by female keepers for more years than any other lighthouse in the United States. It was listed on the National Register of Historic Places in 1973 and declared a Mississippi Landmark in 1987. Beau Rivage is a waterfront casino resort in Biloxi, Mississippi, USA. It is owned and operated by MGM Resorts International. Beau Rivage was rebuilt and re-opened in 2006, a year after Hurricane Katrina. The Beau Rivage hotel is the tallest building in Mississippi. The term 'Beau Rivage' is French for 'beautiful shore'. Rome2rio makes travelling from Nashville to Biloxi easy. Rome2rio is a door-to-door travel information and booking engine, helping you get to and from any location in the world. Find all the transport options for your trip from Nashville to Biloxi right here. Rome2rio displays up to date schedules, route maps, journey times and estimated fares from relevant transport operators, ensuring you can make an informed decision about which option will suit you best. Rome2rio also offers online bookings for selected operators, making reservations easy and straightforward.